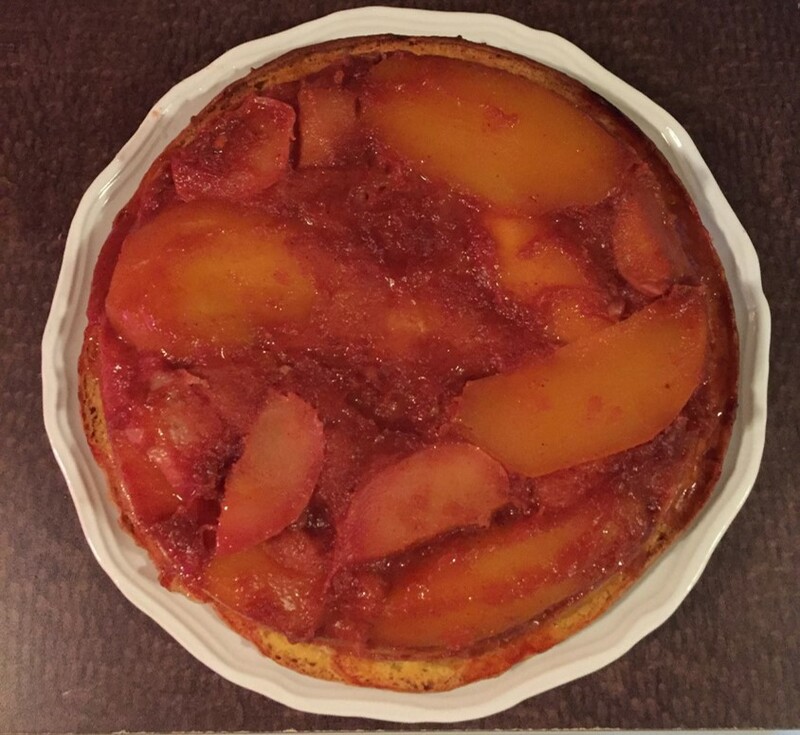 cake – Damn, I Can Make That! By now, you probably realize that today is no ordinary day. Today is our BIRTHDAY! And not just another birthday, it’s Sonia’s dirty 30! This weekend we’re celebrating together with a red velvet cake from this awesome little shop in Sonia’s town. 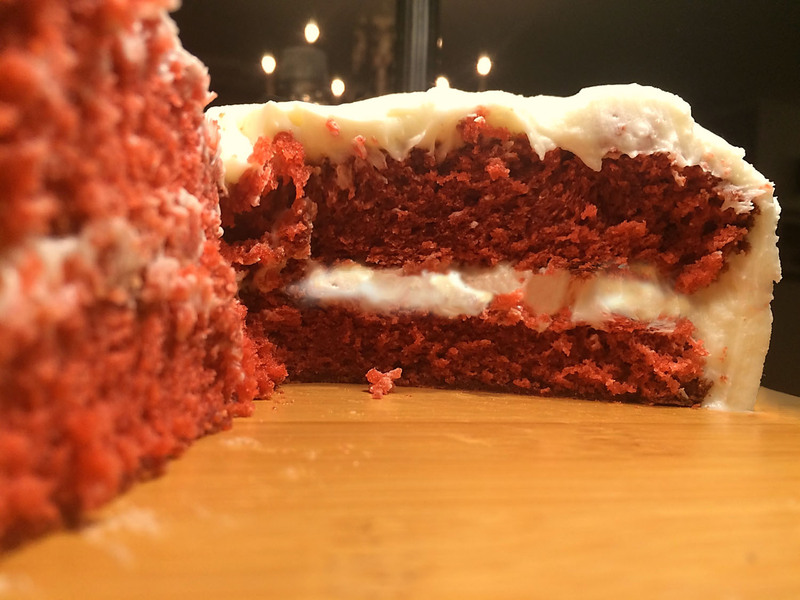 We figured we’d keep with the theme and give you all a tasty red velvet cake to join in! (PS. This is also great for V-Day). Preheat oven to 350 degrees. Grease and flour two 8 inch cake pans. Put all of the ingredients in to a mixing bowl, mix on medium until well blended, and pour directly into cake pans. Now here’s a cool trick I just learned – drop the pans on the counter a few times to release any air bubbles. (Who knew?!) Bake for about 30 minutes or until a toothpick inserted comes out clean. After about ten minutes, remove from pans and cool completely on a wire rack (approximately 20 minutes). While they cool, it’s time to blend the frosting. Blend the cream cheese, butter, and vanilla well, then slowly add in the confectioners’ sugar one cup at a time. Once all the sugar is added, blend on medium-high for another minute until it’s a thick consistency. Welcome to the birthday week! Hey guys, it’s just about here – our birthday! We don’t have to tell you how excited we are about this. You’ve already heard all about it in our two birthday posts from last year – cake, cake, cake, and pink champs, darling. We know you’re used to getting a recipe every Monday, but we wanted to create a little drama this week and save it for the big day (aka Thursday). 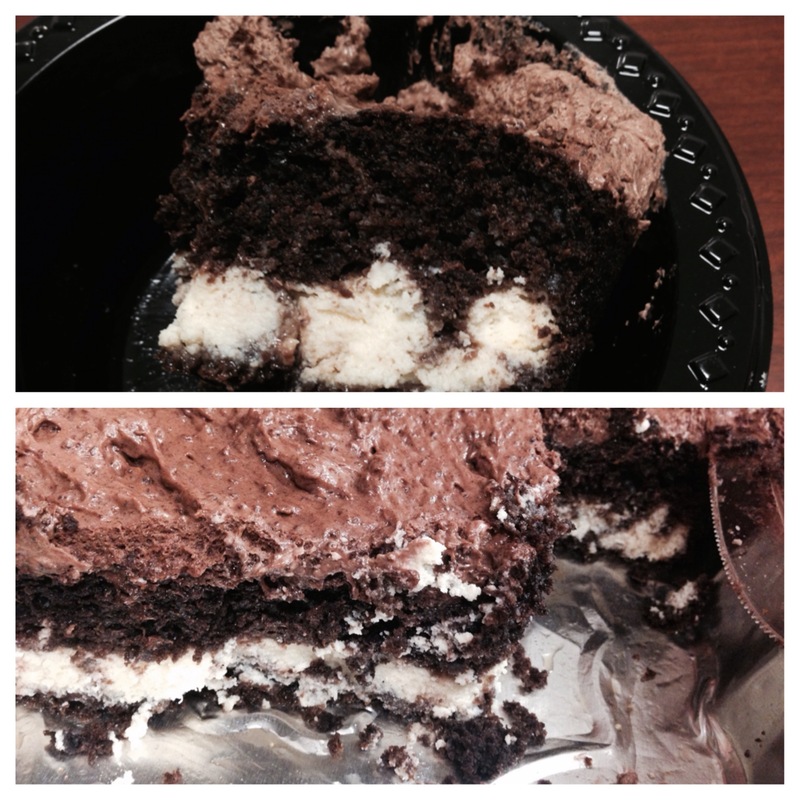 And trust me, we have another damn delish birthday creation to share with you!